Established to bring essential medical and dental care to remote El Rosario, Mexico, the Tucson Chapter of Flying Samaritans Arizona is an all-volunteer organization dedicated to improving the health and wellbeing of patients in high need. Once a month (except during monsoon season), the group takes to the skies in small passenger planes loaded with a cargo of medical supplies and health care providers – nurse practitioners, physicians, dentists, hygienists and nurses – to provide supplemental health care for a local population. The University of Arizona College of Nursing faculty, Dr. Patricia Daly, started volunteering in 2012, and in 2014 became the organization’s medical director. Always interested in the achievements and adventures of our alumni, we caught up with Janay recently to get her thoughts on being with the Flying Samaritans. Have you participated in anything like this before? Years ago I was fortunate enough to participate in an international medical outreach to El Salvador as a nurse, so I had an idea of what to expect. I was aware of the differences between the health systems of the U.S. and South America and tried to be as flexible and open as possible. My previous experience with a big organization was very coordinated. We had an itinerary that was carved in stone. But with the Flying Samaritans, we definitely had to be more nimble at adjusting to circumstances. I really appreciated this different kind of experience. 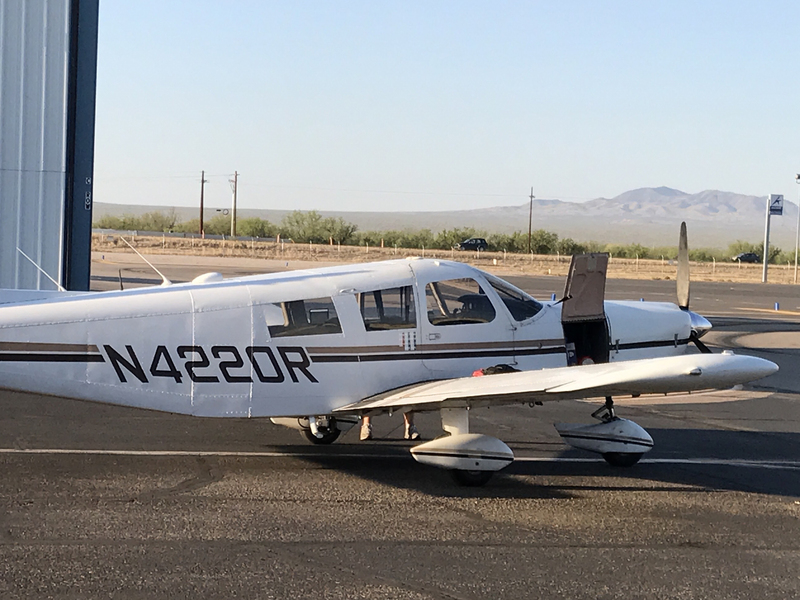 We flew out of Ryan Airfield on a Friday morning and landed in Nogales to pick up three other volunteers, a dentist and two fluent Spanish speakers who planned to help with translating and triaging at the clinic. When we got to the airport in Mexico we met with the rest of the group who had also flown over in smaller planes and then we drove to the clinic. We worked Friday afternoon and all day Saturday and then flew back on Sunday. It was definitely a whirlwind experience: busy but gratifying. The Flying Samaritan organization has an agreement with Mexico that providers licensed in the United States may provide equivocal care in Mexico. Many of the patients that sought care were farm workers or laborers, so a lot of what we saw was what you would anticipate would be trouble for really hard-working people: sore joints or musculoskeletal injuries. One of the cases that stands out to me was a woman who was not able to get regular treatment for depression. She said she had had ongoing depression for several years, had been able to take medication at one time but was no longer on it, and her depressive symptoms were returning. In talking further with her, I learned that she had a non-verbal 10-year-old son and she had to manage his special needs with no local or affordable services. In the States, people with intellectual disabilities get hooked into services quickly regardless of socio-economic status, so it was sad to realize there wasn’t much that I could do on that one day to help. Dr. Daly calls it Wilderness Medicine in the sense that we can’t follow up with patients long-term because different providers come every month, and weather can sometimes cancel trips. It was very much, ‘What can we do today,’ so for that particular patient I talked about some stress management techniques and I was able to give her some supplements and melatonin to help with her sleep issues. It’s so humbling that these individuals came and waited for services all day for hours. I did my best to listen and try to communicate with my limited Spanish. Even with the finite skills and resources I had available, people were still grateful for and receptive to them. Going forward, how will this experience inform your approach to nursing? You can’t just sit down and say, ‘Okay, tell me what’s going on and ignore context.’ You really have to take some time to establish a rapport. I’ve been a nurse for a while so I had that sense already, but this experience definitely reinforced the importance of taking the time to ascertain where somebody is coming from within the uniqueness of their culture or environment, taking the time to listen and gain their trust. This is essential to making a difference in whether they are likely to follow your suggested therapies.